Ah. At last. 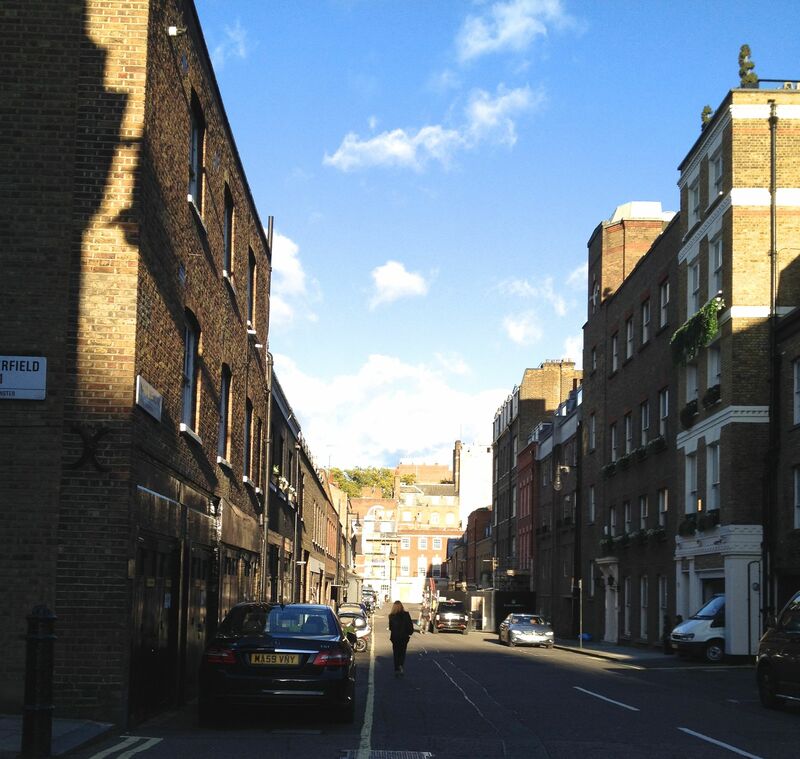 A walk through Mayfair. The very reason I most wanted to go to London…and the very part that would prove most boring to my husband (although he only revealed that a month or so after coming home). Didn’t he get it? Didn’t he realize this was where the creme de la creme of society lived in the early 19th century? 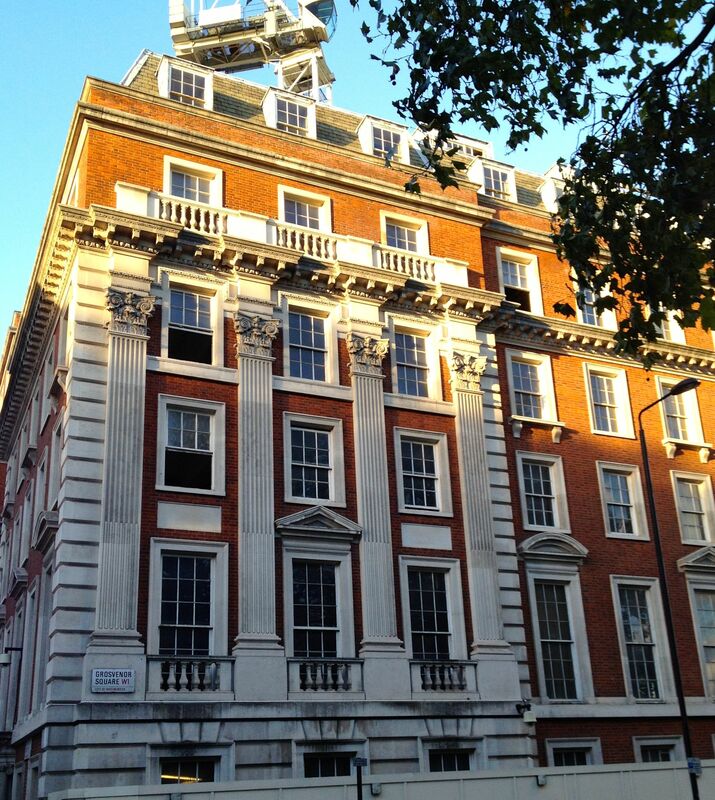 Wasn’t he excited to visit Grosvenor Square, to see the site of Gunter’s, to know where Regency bucks went to train with Gentleman Jackson? Not one whit. Which makes sense, since I’m not sure he’s aware of any of those things. I am, however, and so armed with Louise Allen’s Walking Jane Austen’s London guidebook in hand, I set out with fervor and excitement for an afternoon stroll. The weather was delightful – crisp fall air and beautifully sunny skies. A heavenly day in London! I don’t know why it took me so long to write this blog post – I found myself putting it off time and again. I think it’s just because there is SO MUCH that I saw that I could write for days and days. And part of me wants to, believe me. I’ll try to touch briefly on the main highlights, hope I don’t get too much out of order, stick in a bunch of pictures, and pray everyone is happy! Our hotel was conveniently located for this walking tour, as we were already right at Berkeley Street and Piccadilly, where the “tour” was supposed to start. I took pictures of buildings with old-looking architecture, just because I liked them, although I have no idea as to the actual date of these buildings. 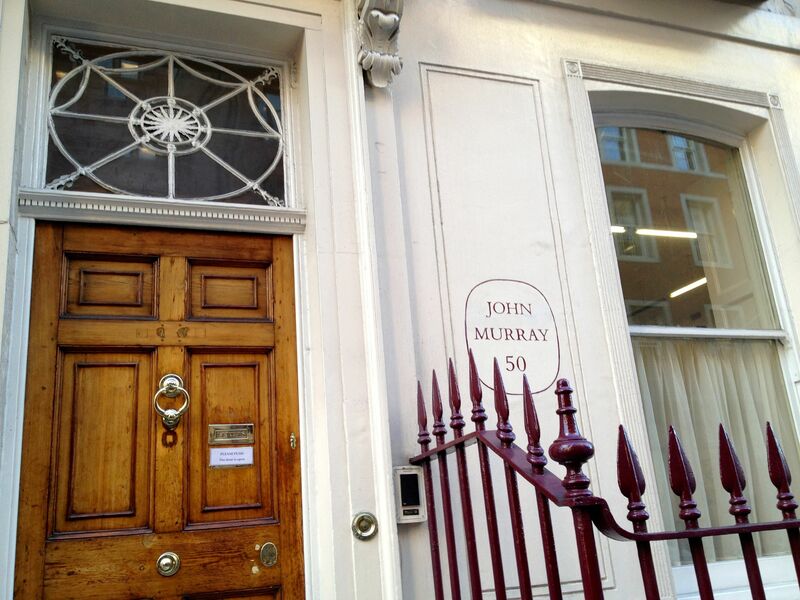 Turning up Albemarle, we came to the site of John Murray, Jane Austen’s publisher. 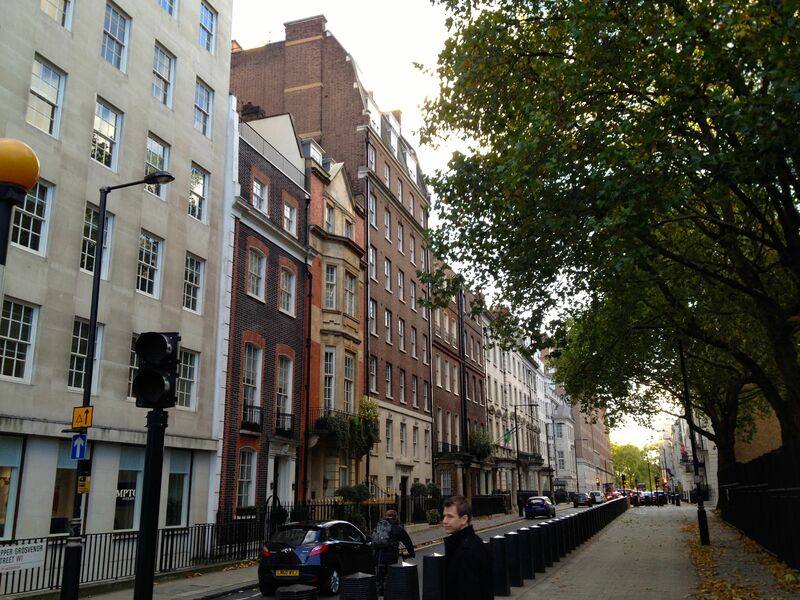 It was amazing for me to think that Miss Austen had trod these same streets when she came to visit with Mr. Murray. Huzzah! Walking farther north, we hit Berkeley Square, and found No. 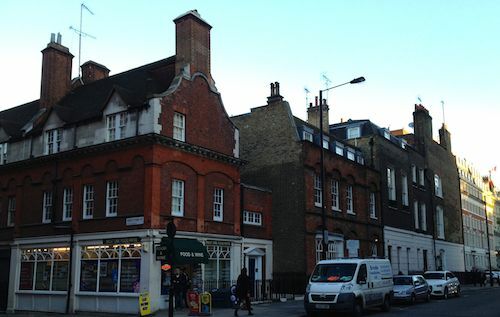 7 – once the location of the famous Gunter’s Tea Shop, which also served ices. Now it houses one of the ubiquitous Pret A Mangers we saw scattered throughout central London (although I admit, I still don’t know how to pronounce that). While I tittered and squealed, Brett wondered what all the fuss was about, since we’d just stopped at such a shop an hour before to get him a Coke. 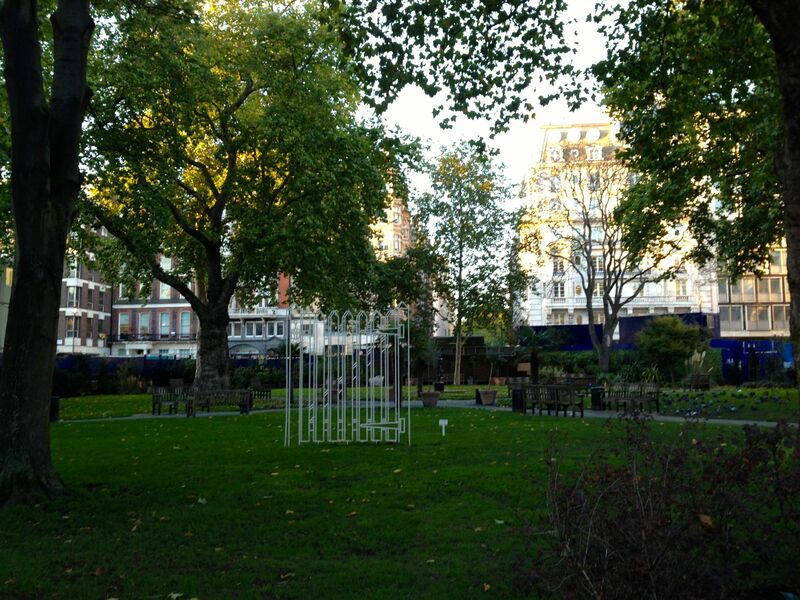 We then crossed to Berkeley Square itself, although apparently I didn’t try for any pictures of the green space. It was fun to imagine dashing rogues and demure debutantes eating the latest frozen confection underneath the shade of the enormous trees (which Louis Allen says are original, dating from 1789). I liked the simple elegance of the architecture. Trying to capture the “feeling” of the streets. 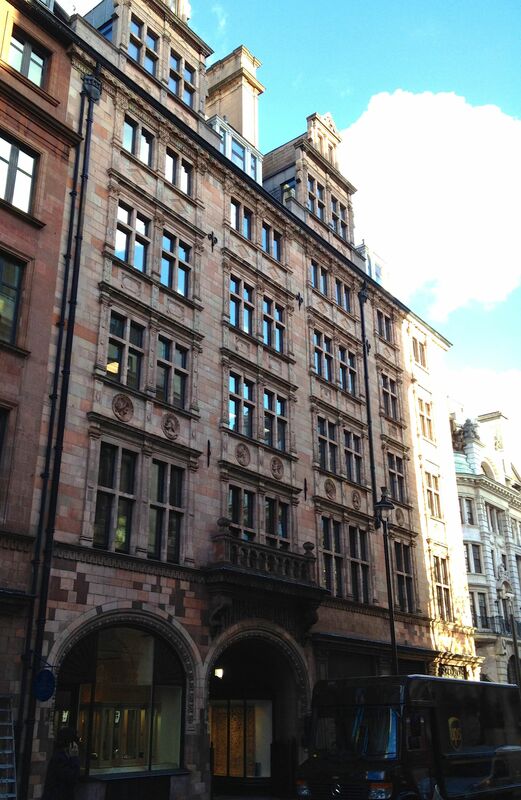 Gorgeous building on Curzon St. Attempting to capture the essence with a panoramic shot. 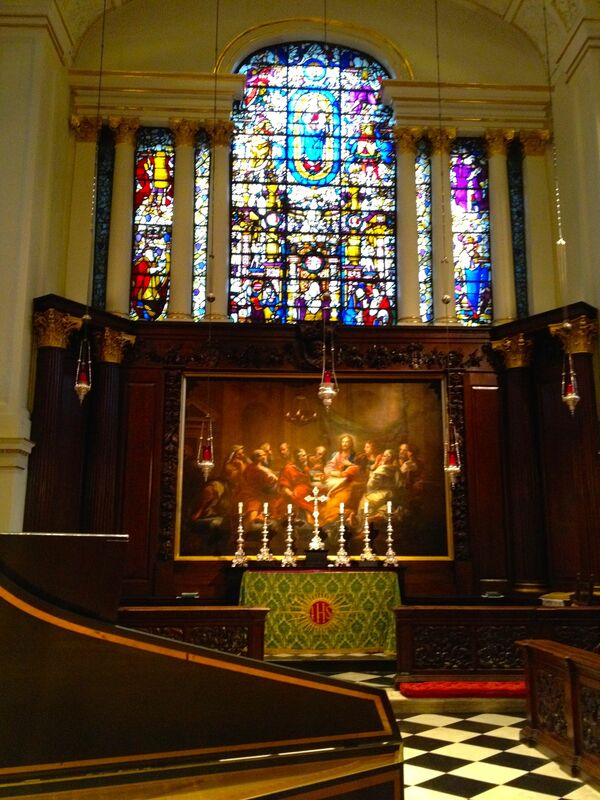 We stopped into Grosvenor Chapel (which I snapped an inside pic of, but apparently missed the outside. If I remember correctly, it was impossible to back up enough to get a good iPhone pic, but it was pretty!). 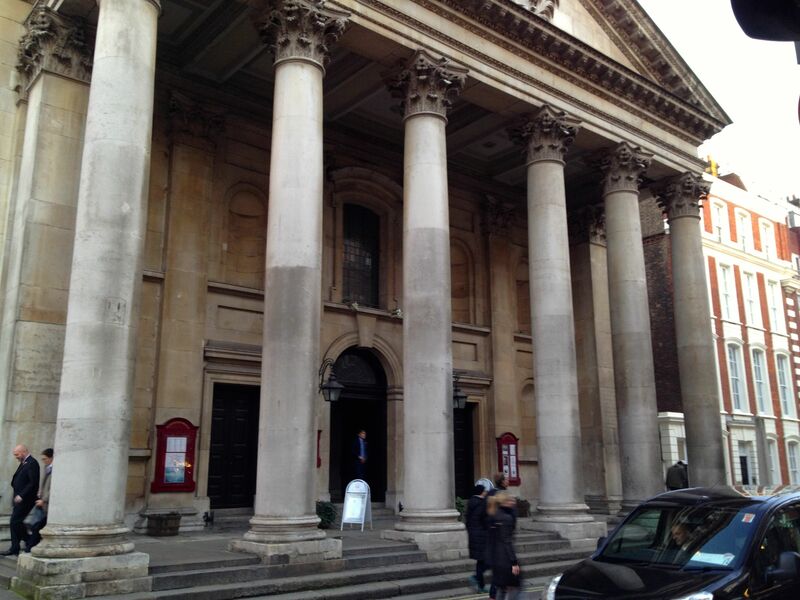 I liked the beautiful white interior with its columns, and imagined Regency families worshipping here. 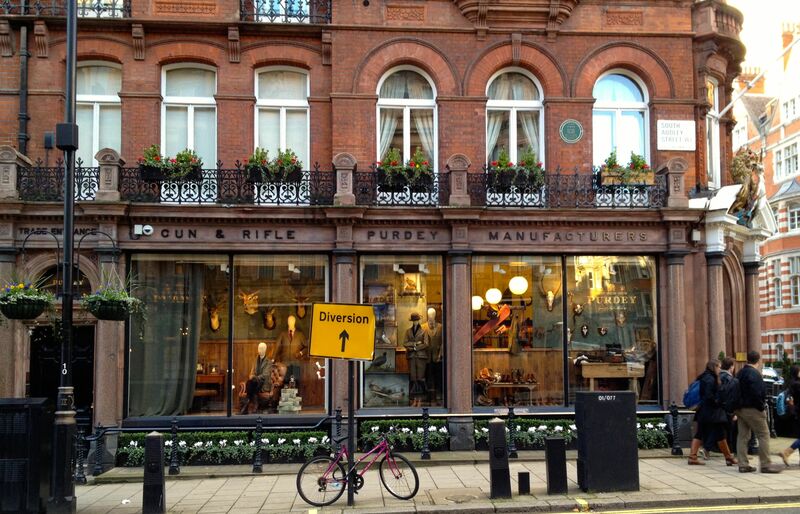 Outside, a short distance away, we found Purdey’s Gun Manufacturers. I’m not a gun fan, but hey, I should at least know where the Regency gents would have purchased their best weaponry, right? 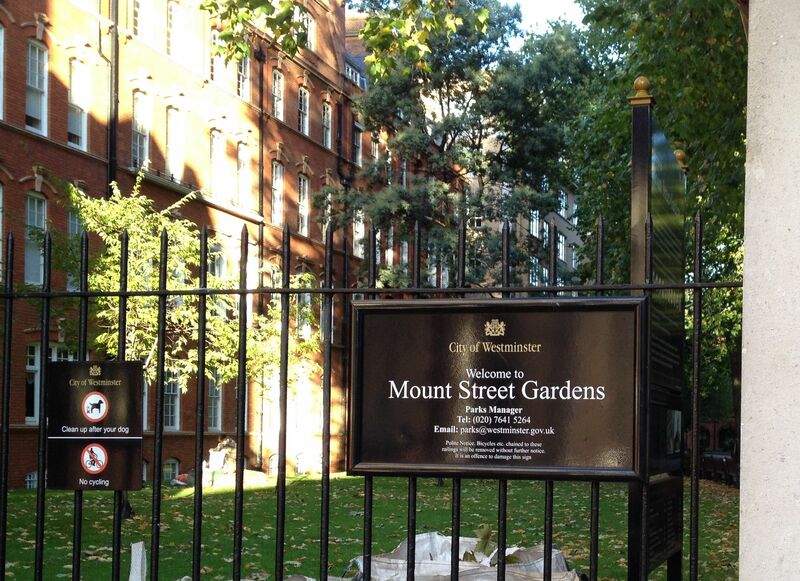 We happened across the Mount Street Gardens by chance, a lush green park which seemed to serve as the “back yard” for many of the lovely brick buildings around it. We also saw a gaggle of British school children chatting merrily as they left a nearby library and headed back to school. Talk about feeling as if you’d just seen a slice of London life! And then, before I knew it, we were there! 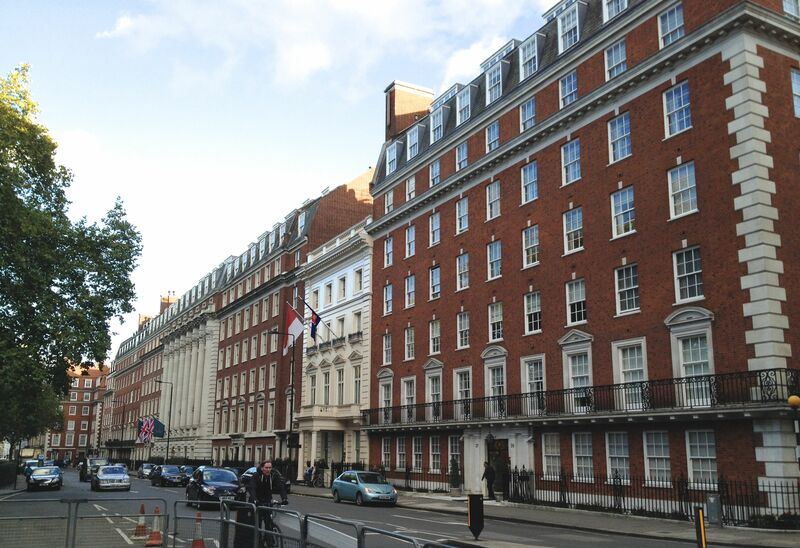 GROSVENOR SQUARE, baby! The reason I’d wanted to come to Mayfair! Well, OK, just one of the many reasons (Hyde Park, Bond Street, St. George’s), but really, this was the highlight for me – to be standing in the MIDDLE of Grosvenor Square, a place I’d read about so many times in so many of my beloved Regency romances, the place that seemed to epitomize the grandeur and exclusivity of the ton. I loved it at first sight. Hubby stood by as I took numerous photos. Lots of photos. Tons of photos. But, oh, the greenery! The architecture! OK, yeah, Louise Allen reminded me that although the Square dates to 1725, many of the buildings around it have been extensively rebuilt. 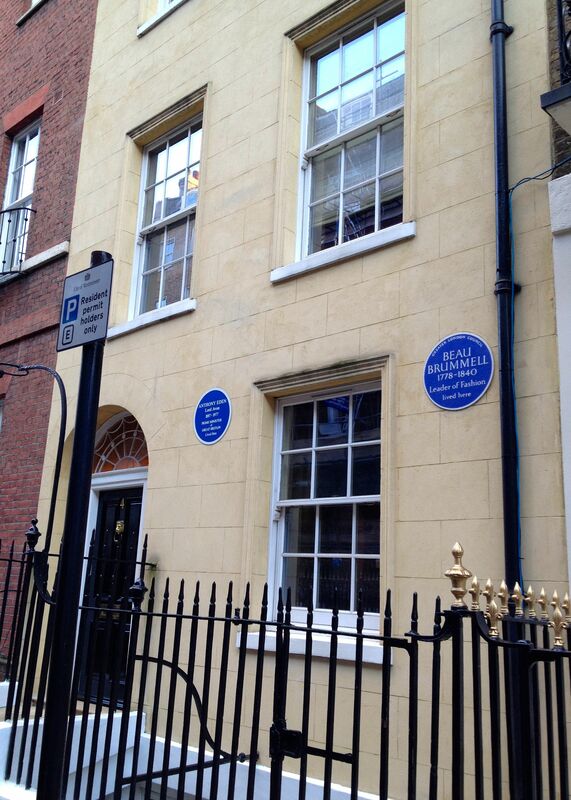 And truth be told, I have no idea which if any of the buildings were from the Regency era. It’s still a striking sight. 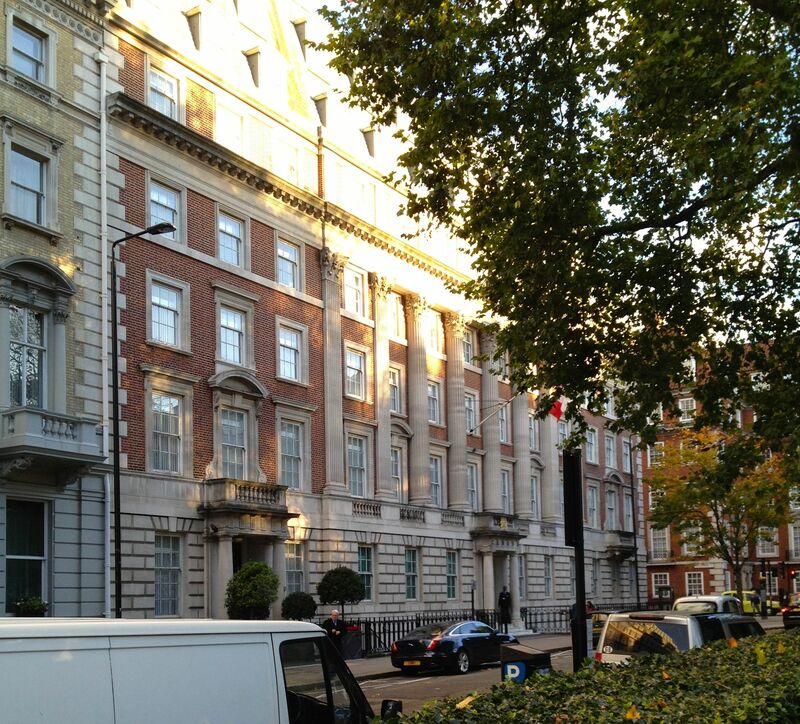 East side of Grosvenor Square. I love those faux columns! 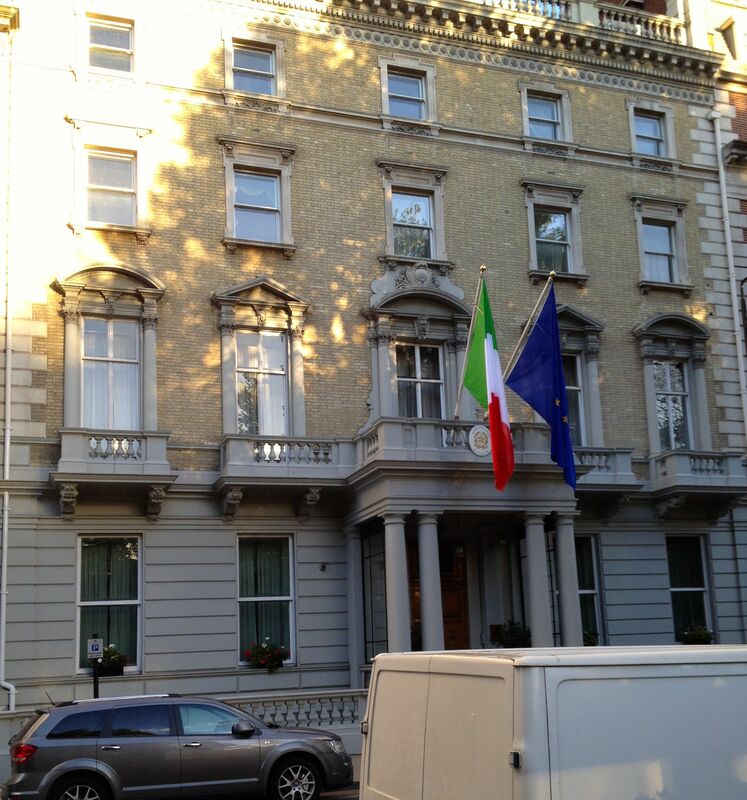 There are a number of embassies located around Grosvenor Square. 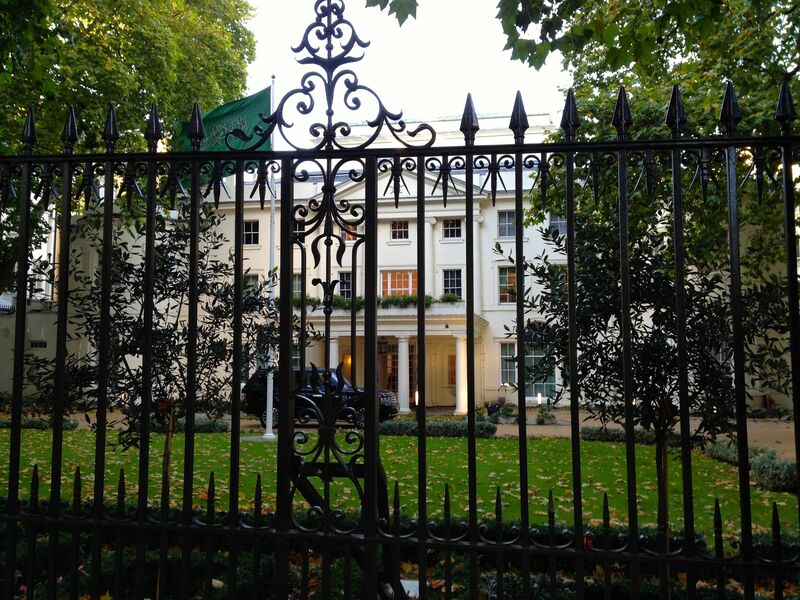 I just couldn’t get enough of the Grosvenor Square feel. 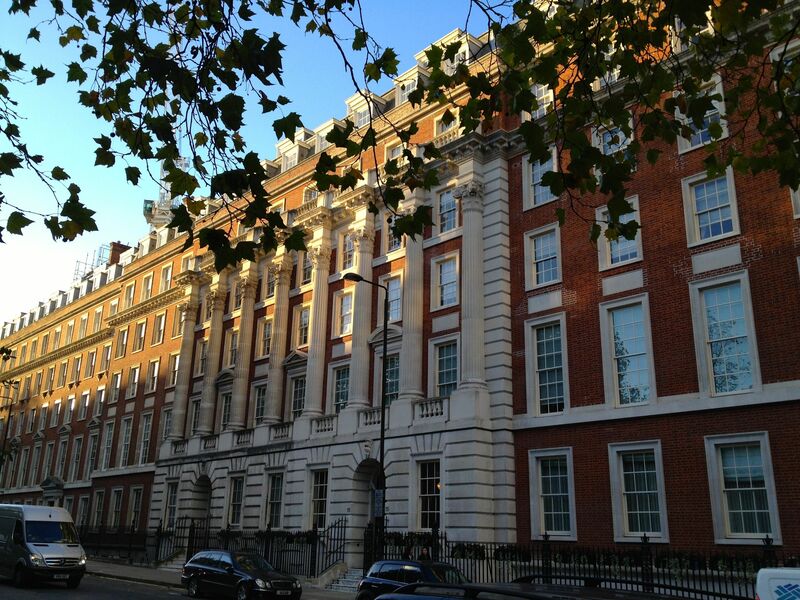 Who wouldn’t want a Regency residence in THAT columned building? The street sign is proof! I was there! 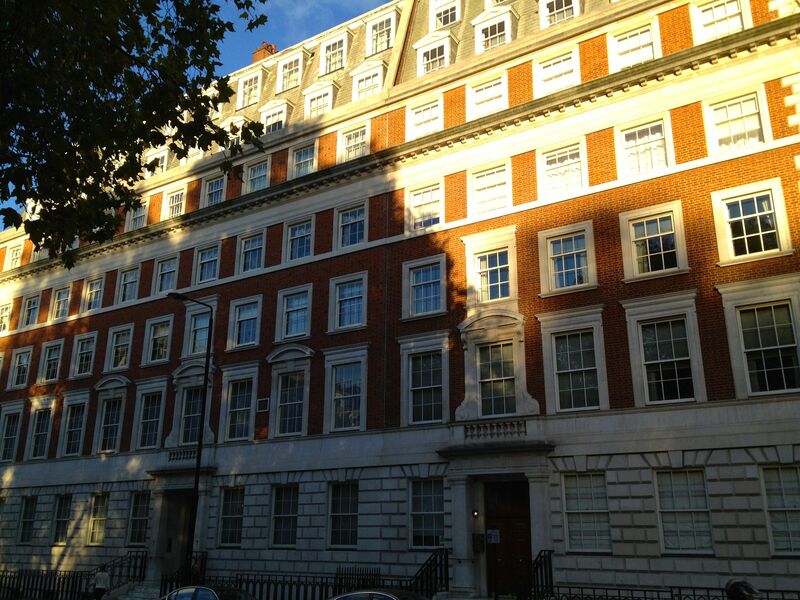 A panoramic shot of the buildings along Grosvenor Square. St. Marks’ Church. At least I think. Reluctantly I left the Square, and we moved on farther north. 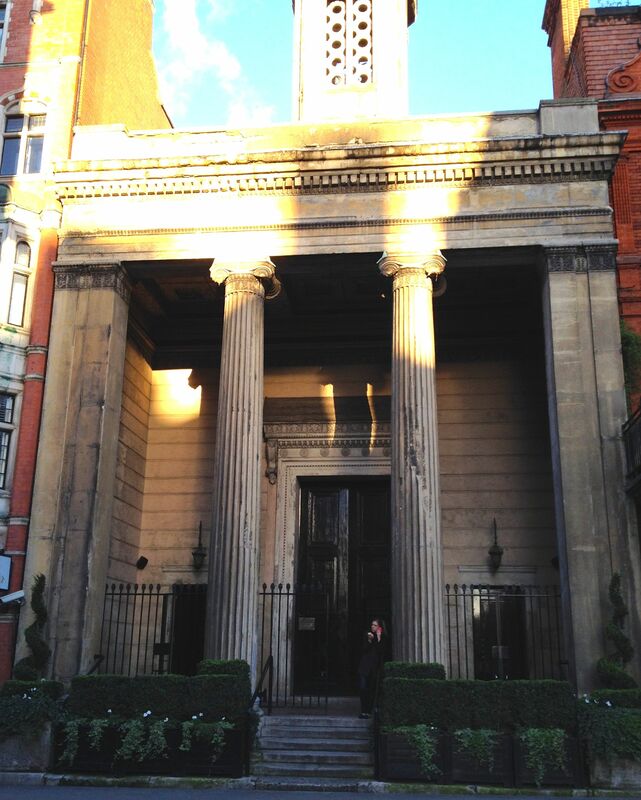 We found the front of what I think was St. Mark’s church, but I’m not sure, as the woman chatting on the phone in front of the building indicated to us it was a private residence as we tried to enter. Still, it was beautiful, and looked quite old. Reaching Oxford Street and seeing that we were at the edge of Baker Street, we briefly considered continuing north to find 221B. I knew, however, that there were many more Regency sites I wanted to see and that my feet, sadly, would only last so long. 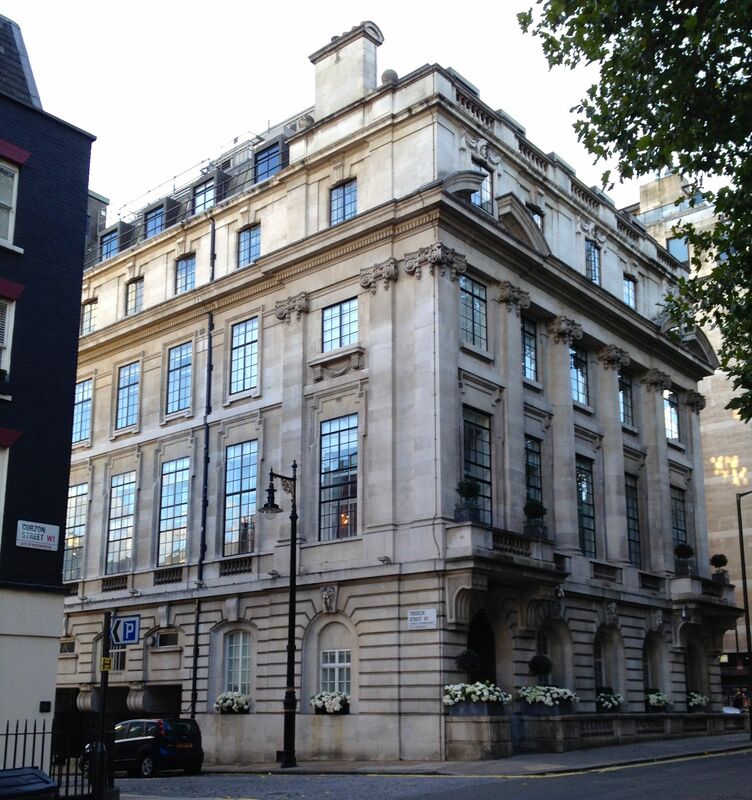 I had us turn east and head down Oxford Street toward New Bond Street, as I was now in search of Hanover Square, another well-known Regency landmark. The gates to the park were locked, however, so I satisfied myself with a quick photo. Peeking in to Hanover Square. 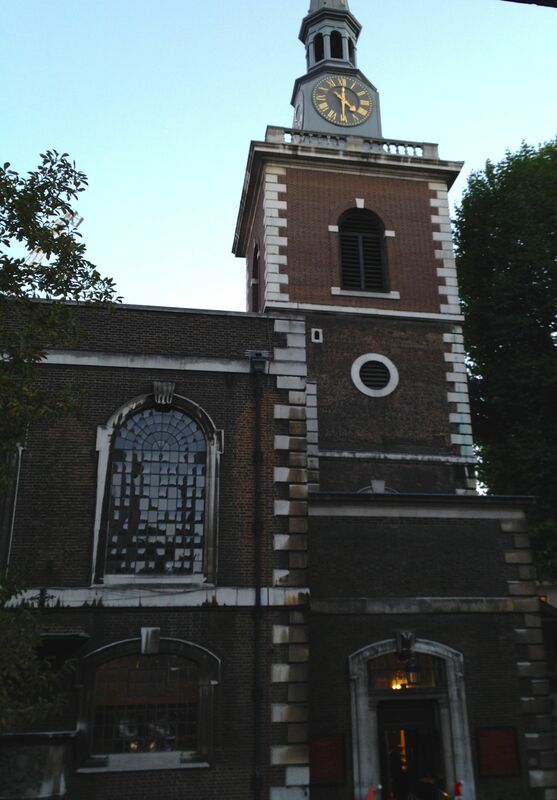 Next on my list of “must sees” was St. George’s of Hanover Square, the church mentioned in numerous Regency novels as the site of many a ton wedding. 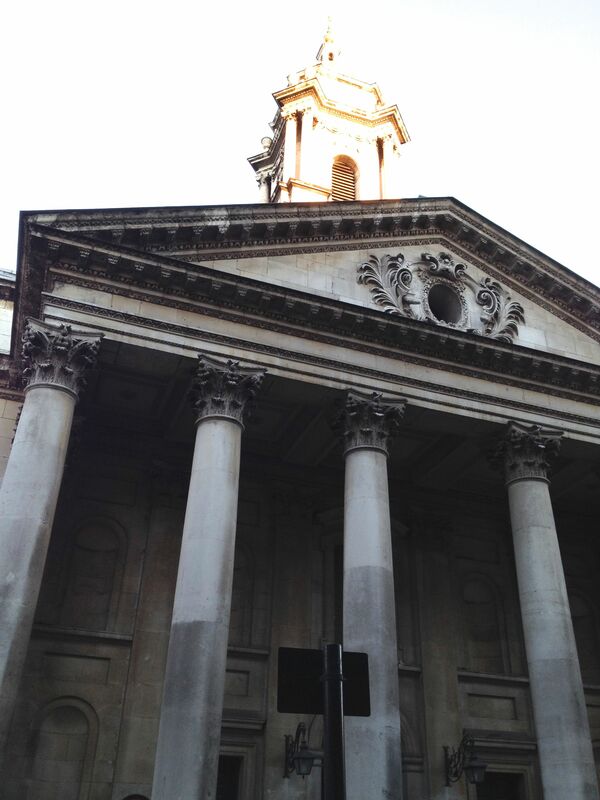 Even the husband seemed to admire this one – he’s a fan of buildings with big, Greek-looking columns. Once again I snapped away with the phone, trying to record numerous angles, etc., for future writing. There were people inside the church, however, and we didn’t want to disturb them (it was some sort of music rehearsal, we gathered), so I didn’t dally long inside, even though I really, really wanted to. 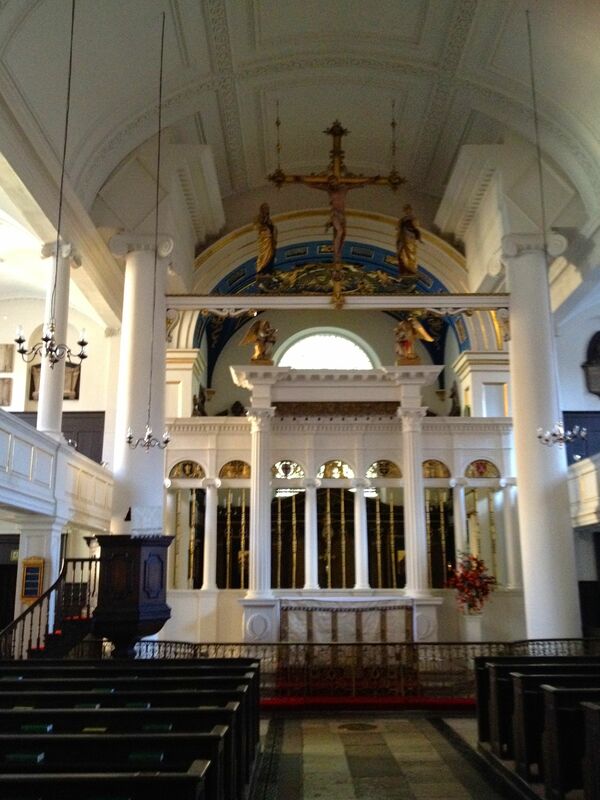 Inside of St. George’s. I love that black and white floor! 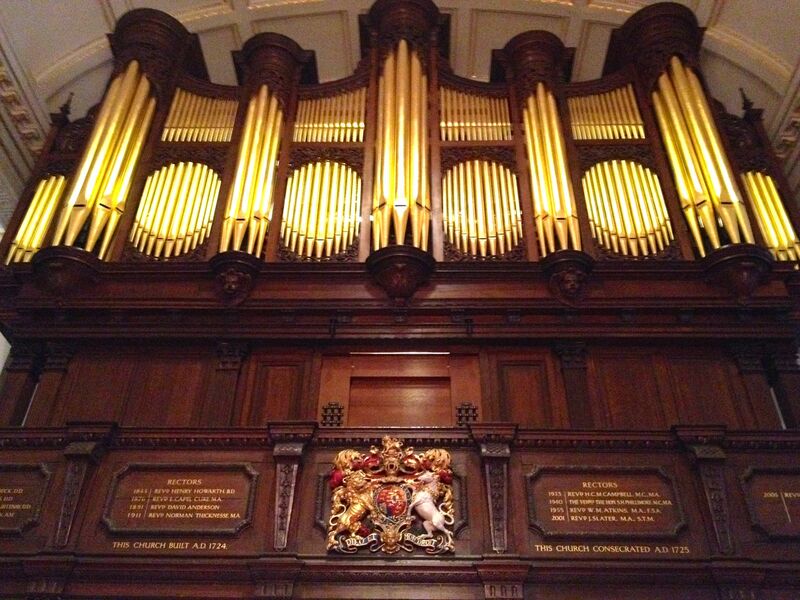 The organ pipes of St. George’s of Hanover Square. 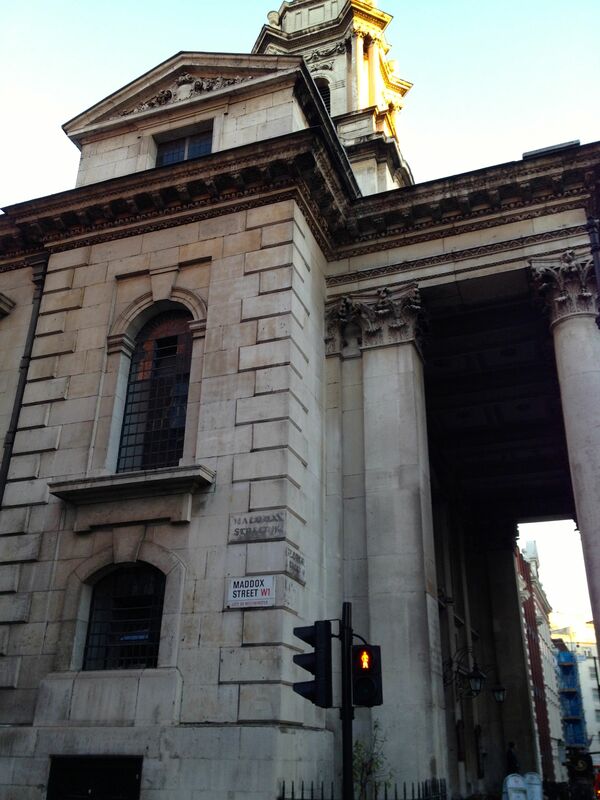 Trying to capture the outside grandeur of St. George’s, but I couldn’t get far enough away to get a decent photo. The bottom half of St. George’s. Now there’s a store I don’t see every day. 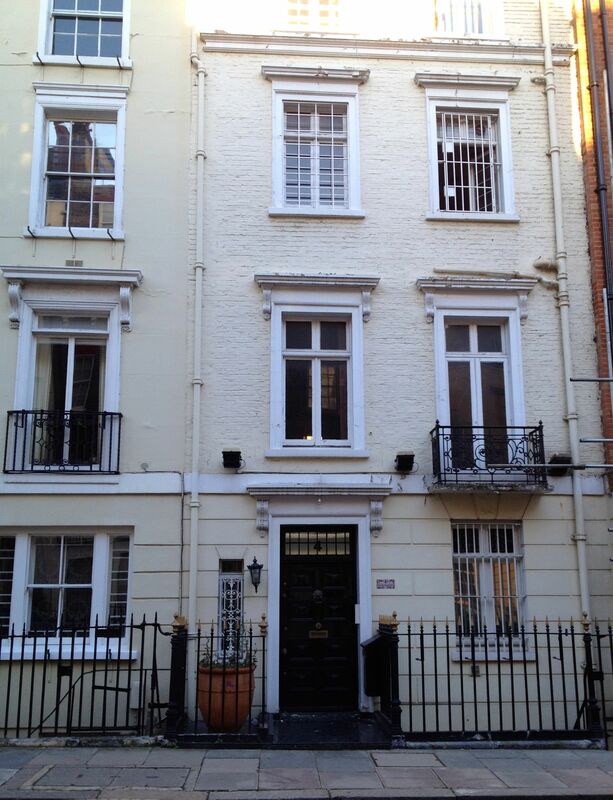 Next we walked down Bond Street. I, um, definitely felt out of place with my American sneakers and colorful 20-year-old blue jacket. I may love to read about the fashionable, high-end people of London, but it was quite clear after just a moment or two that I will never count myself among them. 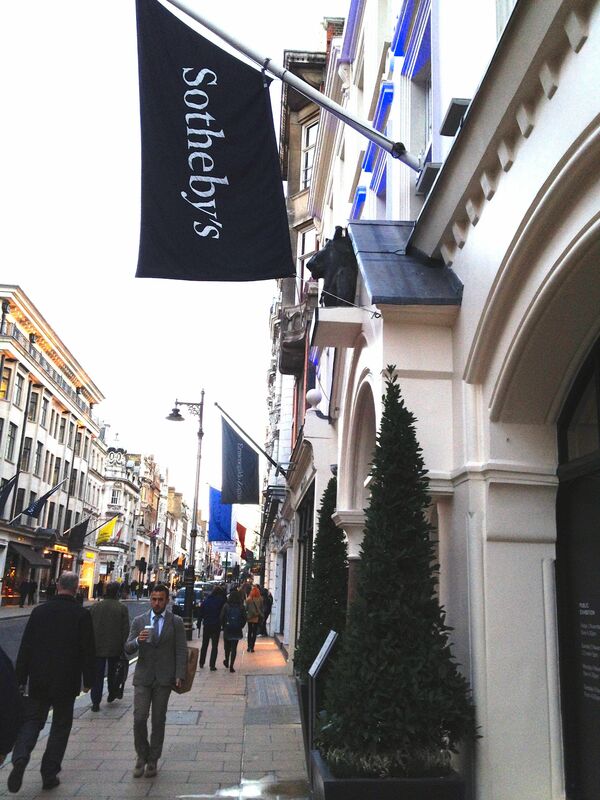 There were a number of people dressed to the hilt strolling between the big-name stores. Then again, there were a number of people looking, well, more average like me. So it was all good. I loved the store front of No. 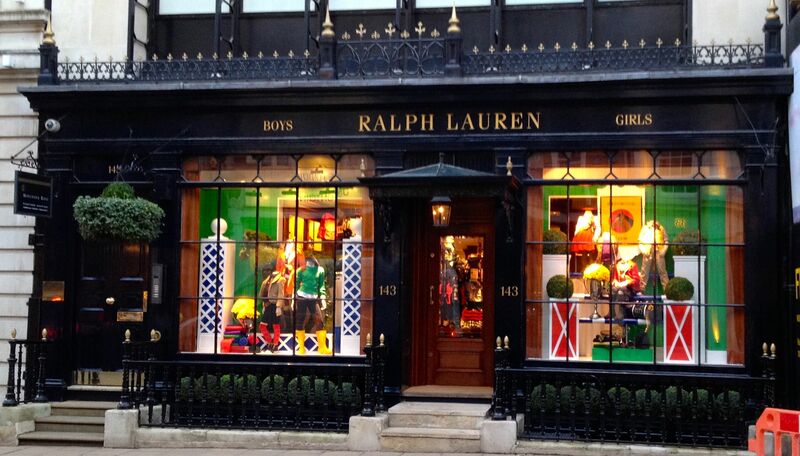 143, Ralph Lauren. 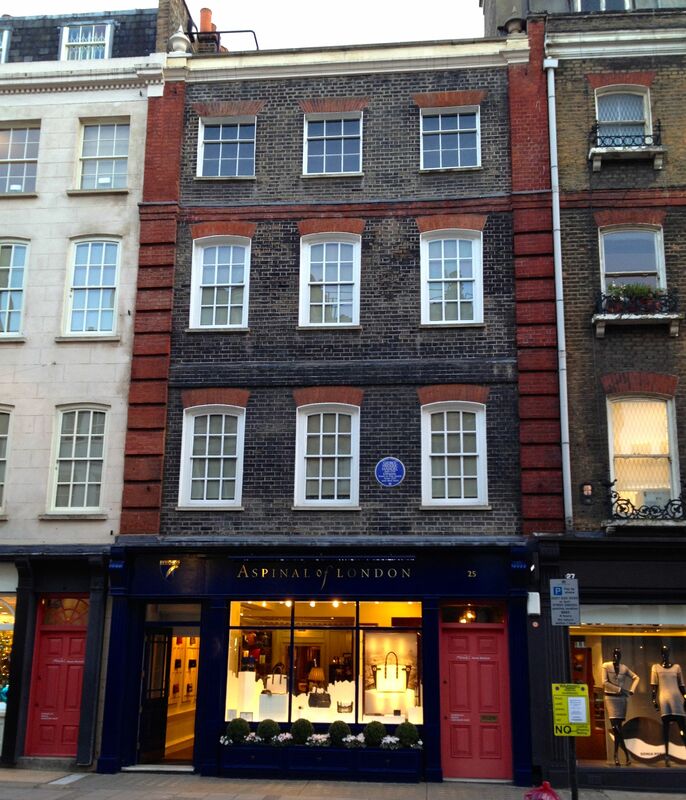 Louise Allen’s guide informed me it was an original store front dating to the Regency period that used to house the chemists Savory and Moore. It was getting late in the afternoon, and as much as I wanted to keep exploring, I could tell my husband was getting hungry. 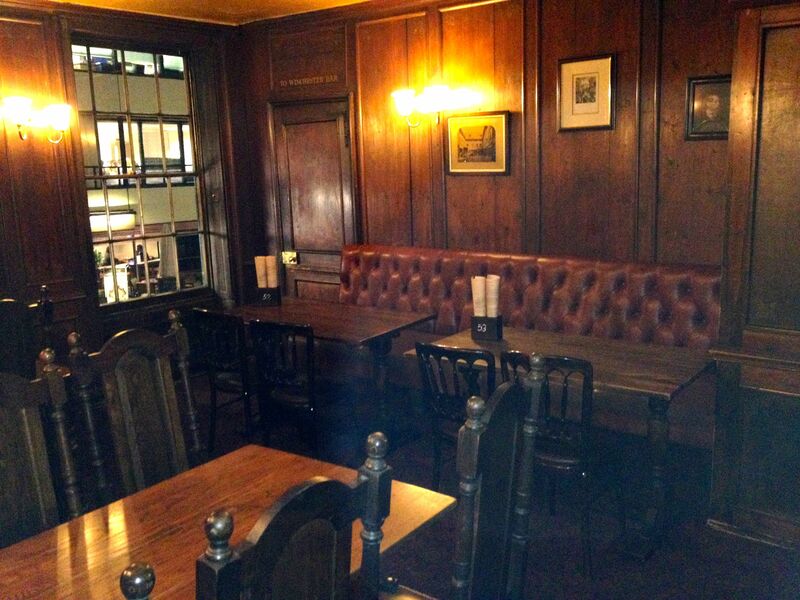 We decided we’d head down Bond Street to the Tube station so that we could head south of the Thames and eat at The George Inn, about which I’d read in Fodor’s London Guide. Along the way, of course, I took a few more pictures, including this one at Duke’s Yard. I liked the “old feel” of the architecture, with the bricks and numerous chimneys. I’m allowed to get a kick out of the mailboxes, right? 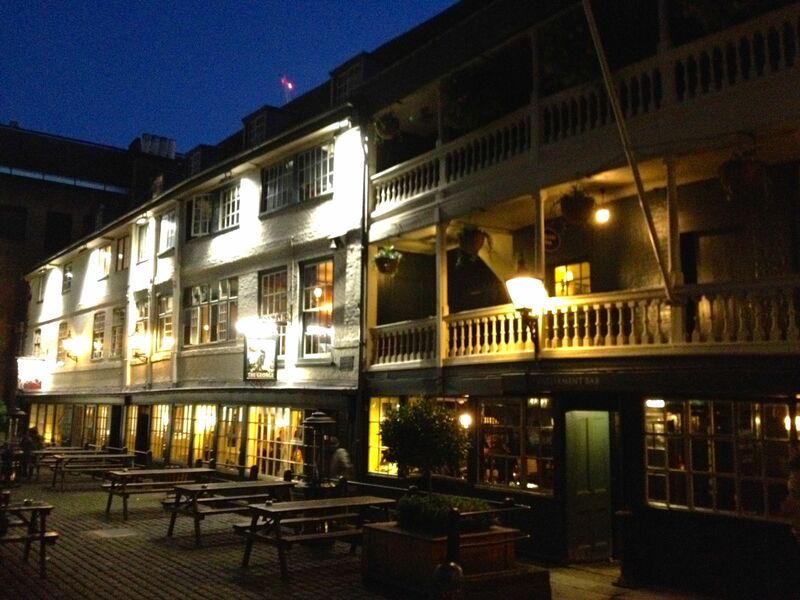 I’d chosen The George Inn for dinner because it is, as Wikipedia says, the only surviving galleried coaching inn in London. Plus it was medieval in origin: bonus! 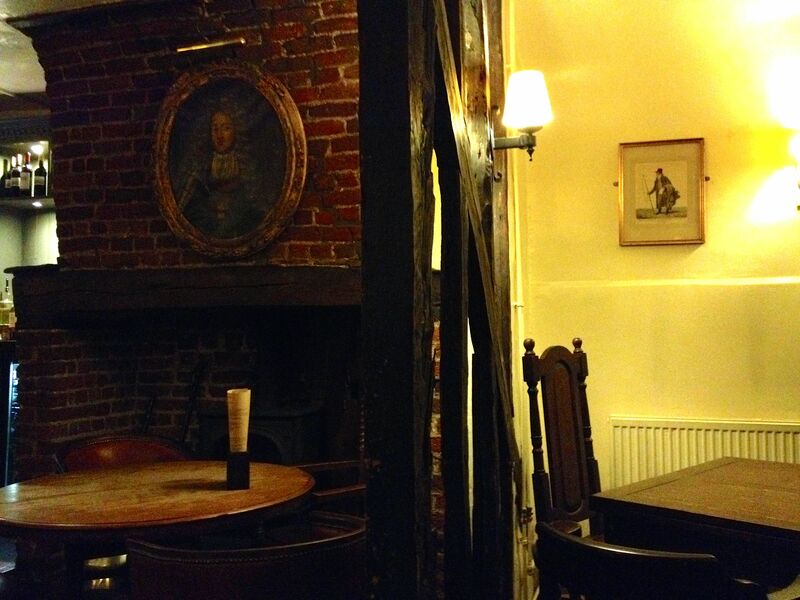 I wanted to see what a coaching inn would have felt like for a Regency traveler – or at least as close as I could imagine. 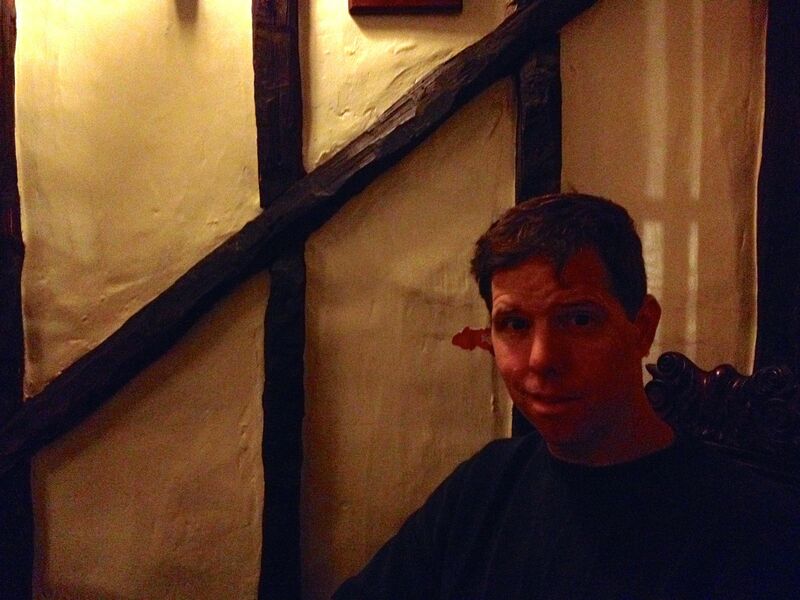 I have to say, this was the most delightfully English-feeling meal of the whole trip, and I adored the atmosphere (As a side note, our server that night bore a noticeable resemblance to Robert Pattinson. I kid you not.). 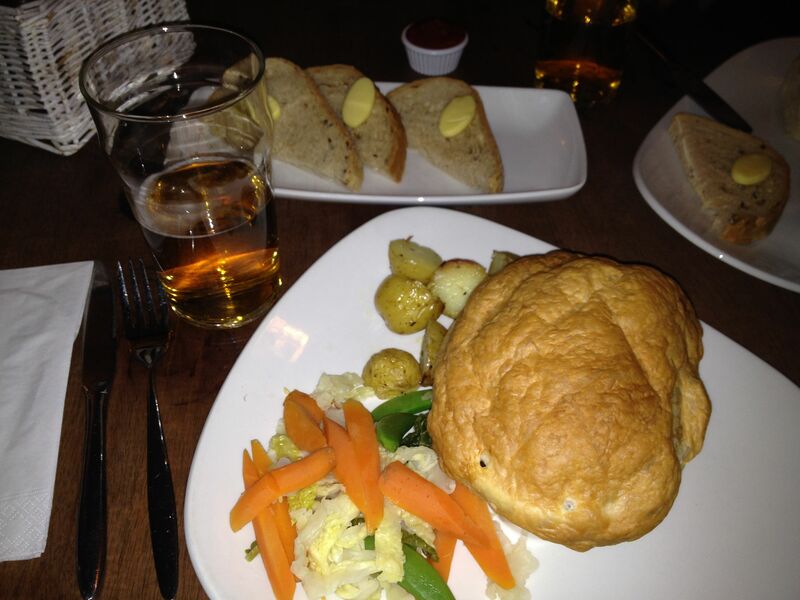 I ordered a steak pie and a pint of ale – how much more English could I get? Even hubby enjoyed this part of the evening a lot! 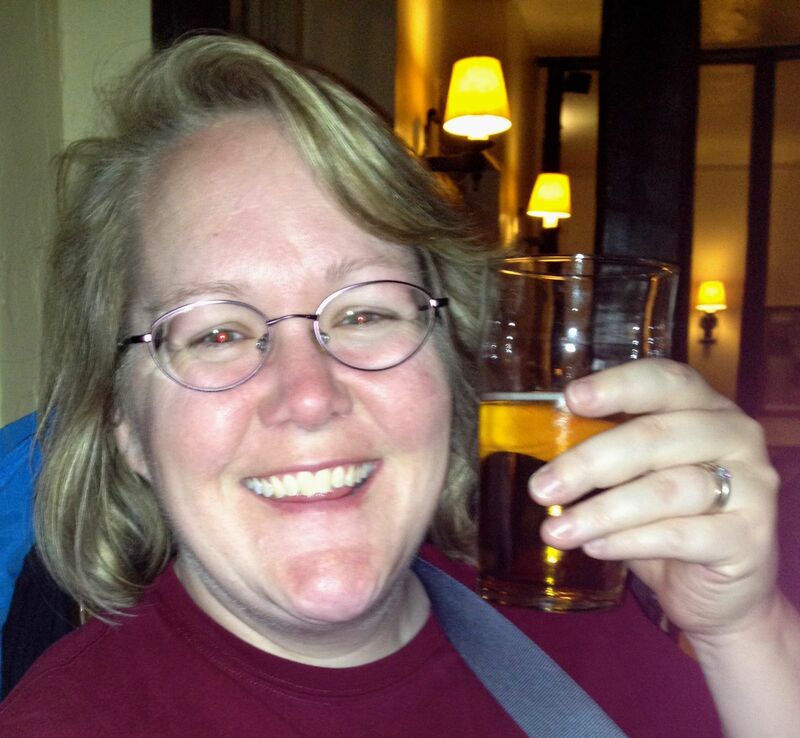 A toast to a fantastic day! After satiating ourselves on the pub fare, we headed back to the hotel for some much-needed sleep and prepared ourselves for Day 3 of this fantastic adventure: The British Museum and St. Paul’s Cathedral. AND MOJO! 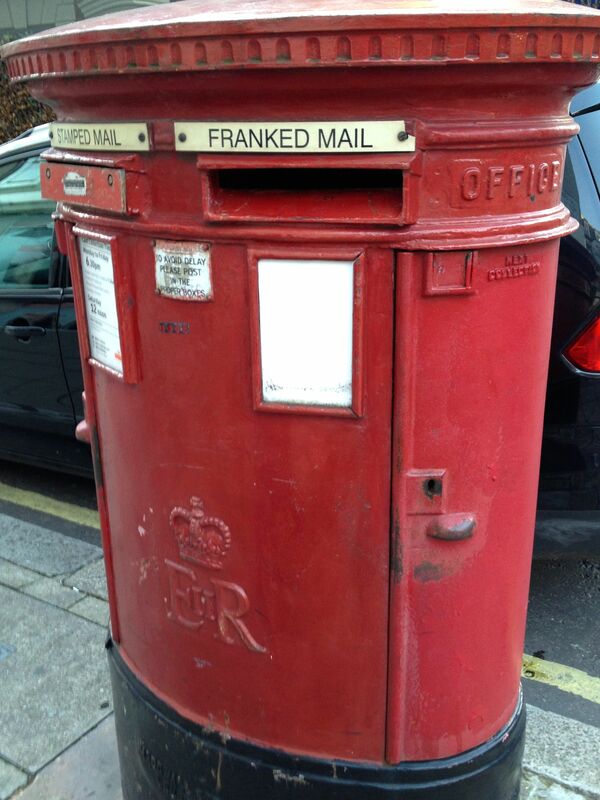 This entry was posted in London and tagged Berkeley Square, Grosvenor Square, Regency England, St. George's of Hanover Square, The George Inn by Margaret. Bookmark the permalink. Thank you! 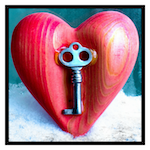 And I was SO excited to hear of you being a Golden Heart finalist! How wonderful for you! Oh, now I’m homesick again! Lovely tour, and great photos. It’s pronounced “Pret” for short, most of the time, by locals. Pret ah mon-ghay is my best attempt at phonetical spelling. 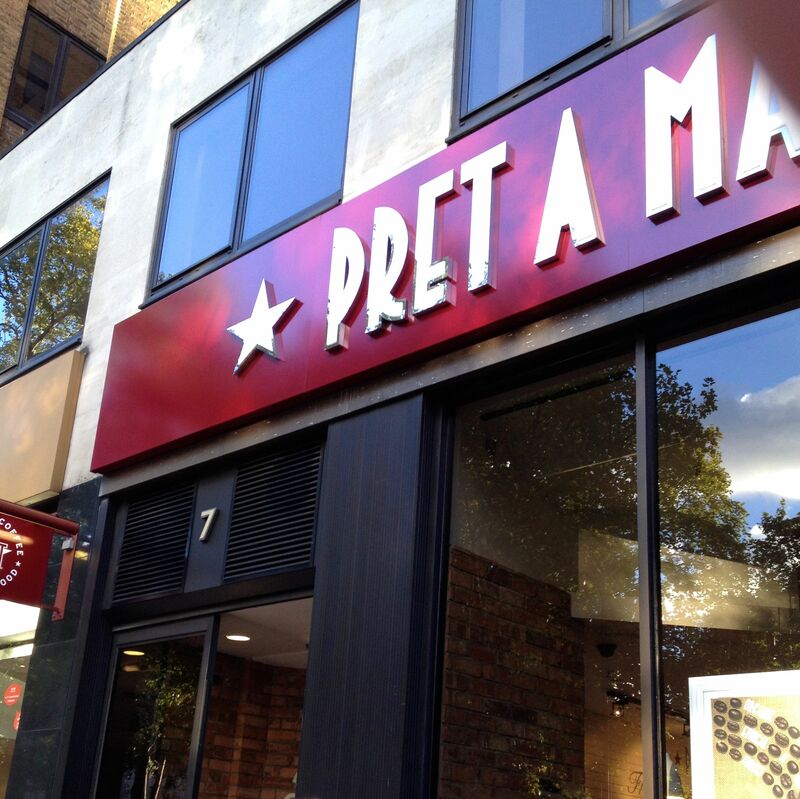 Pret rhymes with pet. 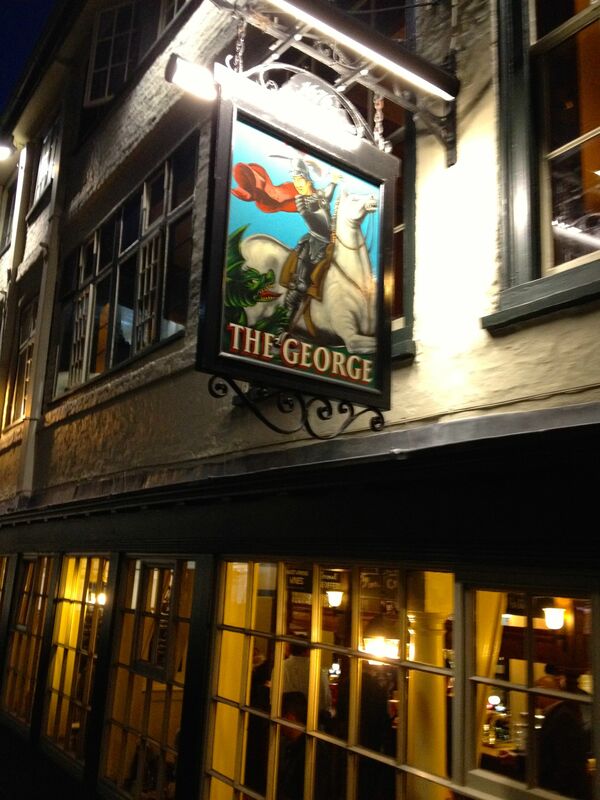 We are hoping to go back for a visit and I’ll have to go see the George Inn; I never got there!